Horseriding in the fabulous Ronda countryside. Caballos y Vino is owned and run by Sandra Jochim, an experienced horsewoman who has excellent, first-hand knowledge of the local area, too. She also speaks four languages – German, English, Spanish & Horse! 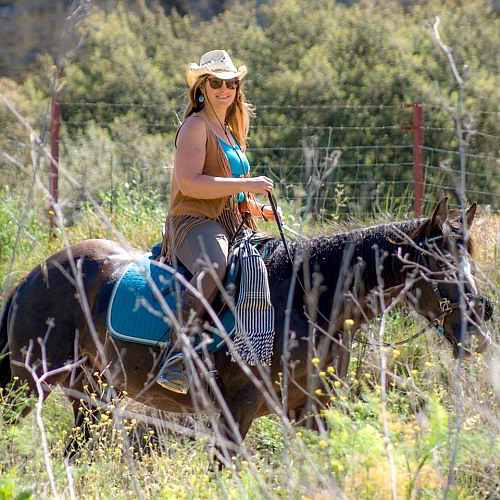 At Caballos y Vino, you enjoy a ride on safe, reliable horses and discover the beautiful countryside around Ronda. Small groups of 2-4 persons guarantee a convivial atmosphere. Bookings can be made at short notice. Visit the “Casa de Jamon” and see the museum and experts slicing the Iberian ham. This shop is filled to the brim with a superb display of jamon Iberico- wine -cheese and oil (Iberian hams, Iberian chunks … Etc.) 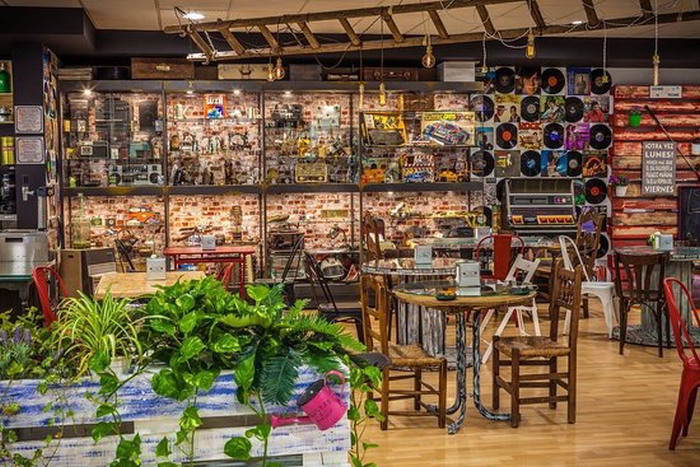 There is also a cafeteria-bar where all the products on display can be sampled either sitting at the bar or at the tables amongst what can only be described a “museum of Spanish nostagia”. 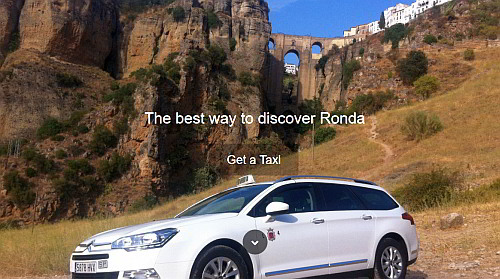 Discover Ronda and the surrounding white villages by taxi! Vineyard visit, wine tasting and wine museum. The wine interpretation centre is the place to head for if you are a wine lover. 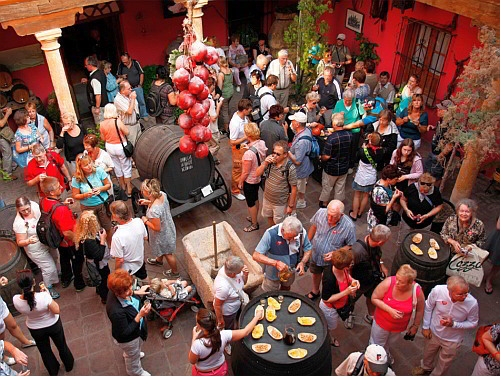 The centre is packed with eveything you need to learn about (and taste) the fantastic wines of the Ronda region. Education is a basic purpose of the wine interpretation centre sothis is a place where you can ask questions and have a great time while you learn. This is also a place where you will encounter a multisensory experience. The museum is a gateway to the past with an amazing collection of antique objects related to wine and winemaking. Find out more at the website of the wine interpretation centre here.